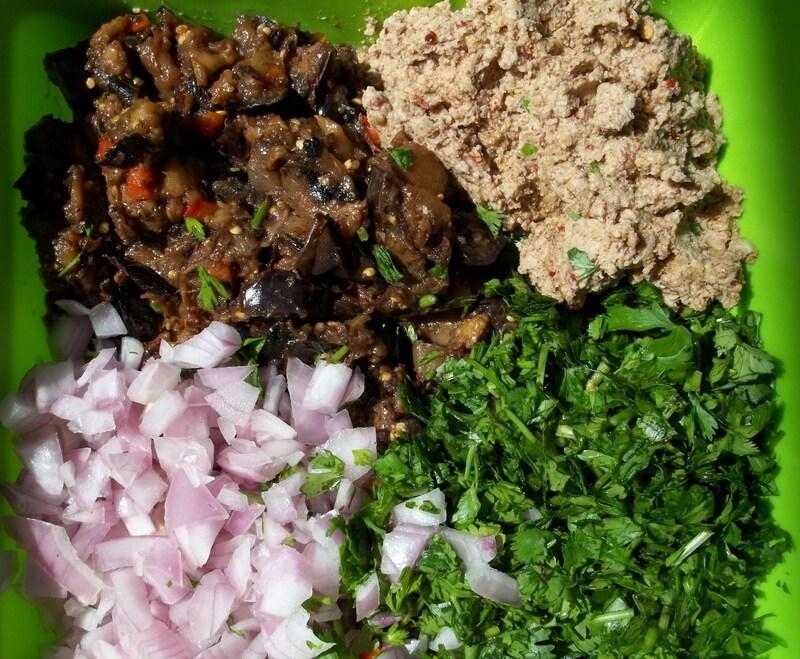 In this recipe we show how to make a popular Georgian family dish made with eggplant, walnuts and herbs. 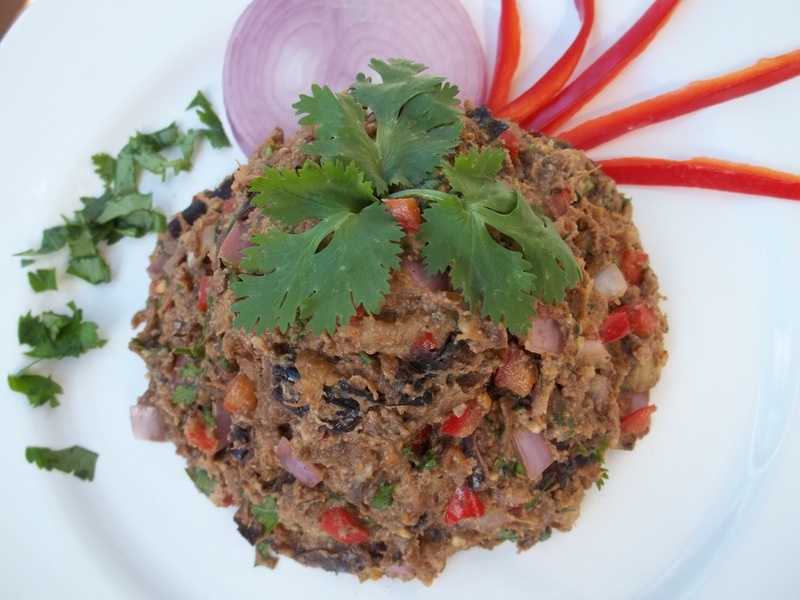 This is primarily a summer dish and is served cold. 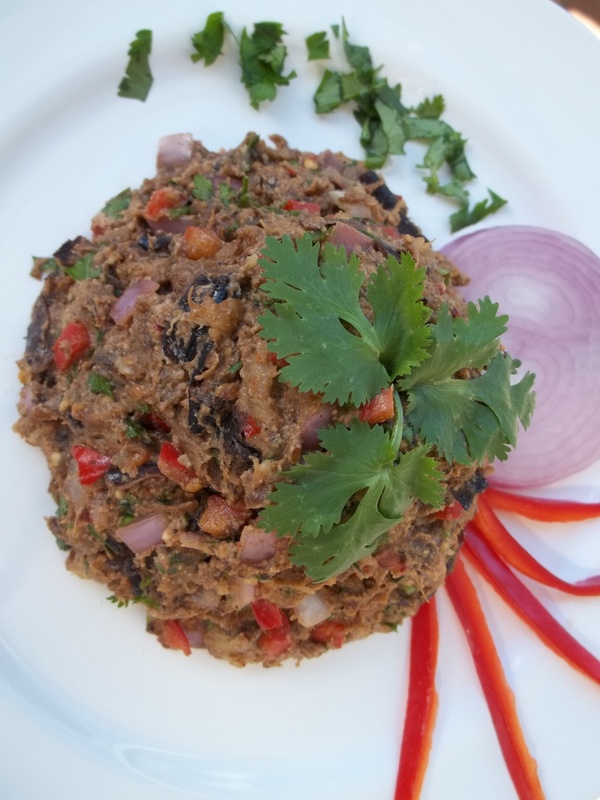 Ingredients: 1 kilo of eggplant, 250 grams of walnuts, 1 sweet red pepper, 1 red onion, 15 grams of fresh parsley, 15 grams of fresh green coriander, 6 cloves of garlic, 1 tsp of dried coriander, 10 tbs of oil, 1 tsp of dried blue fenugreek, 1 tsp of dried marigold, 1 tbs of coarse hot red pepper, 6 tbs of white wine vinegar and salt (amount dependent upon personal preference). Preparation: Slice the eggplant (not too thinly). 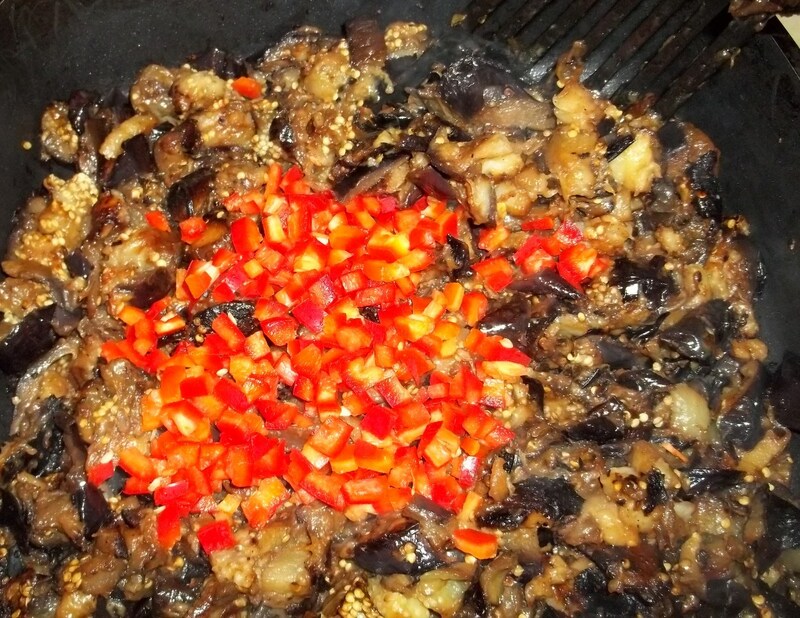 Add 5 tbs of oil to a pan and add the eggplant in layers. Sprinkle each layer with a little salt. 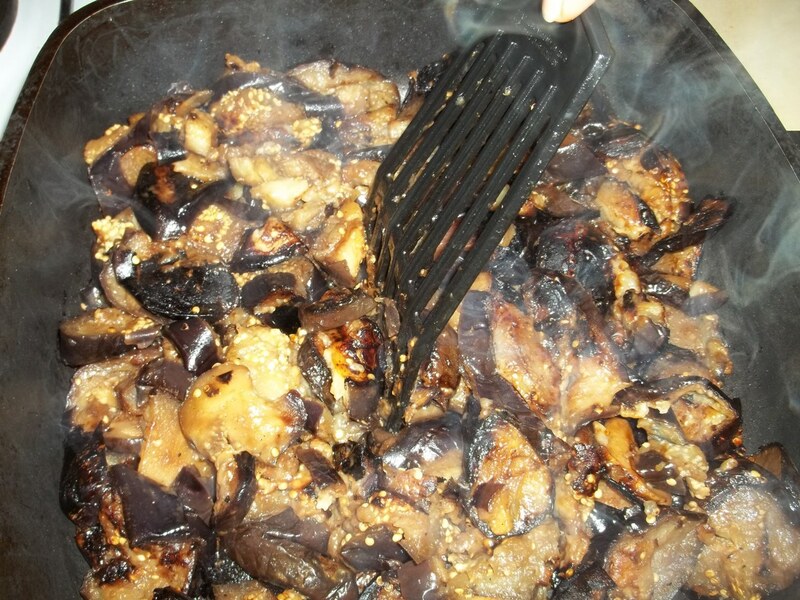 Pour a further 5 tbs of oil over the eggplant. 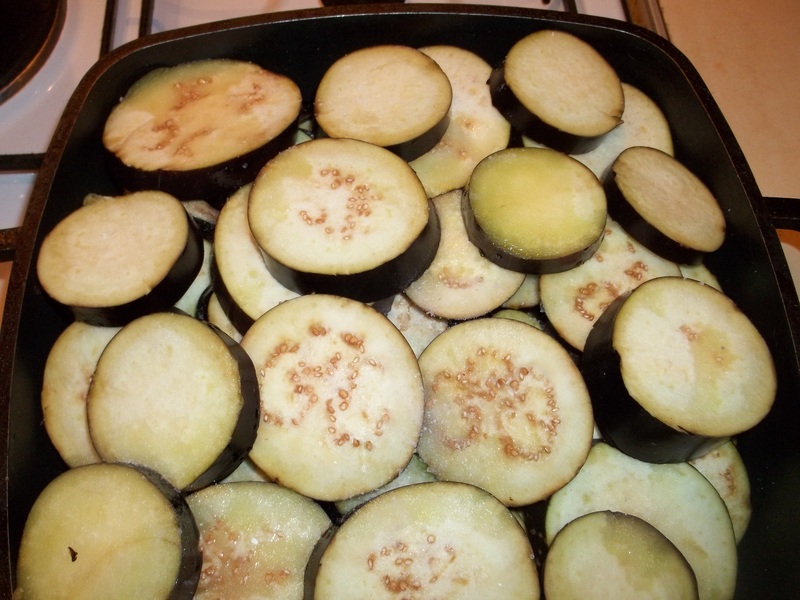 Cook on a medium heat for 20-25 minutes, turning occasionally and ensuring that the eggplant is cooked on both sides. Crush the walnuts whilst the eggplant is cooking. Use a kitchen spatula or wooden spoon to break up the eggplant. Chop the sweet red pepper and add to the pan. Stir. Turn off the heat. Cover the pan and leave for 5 minutes. 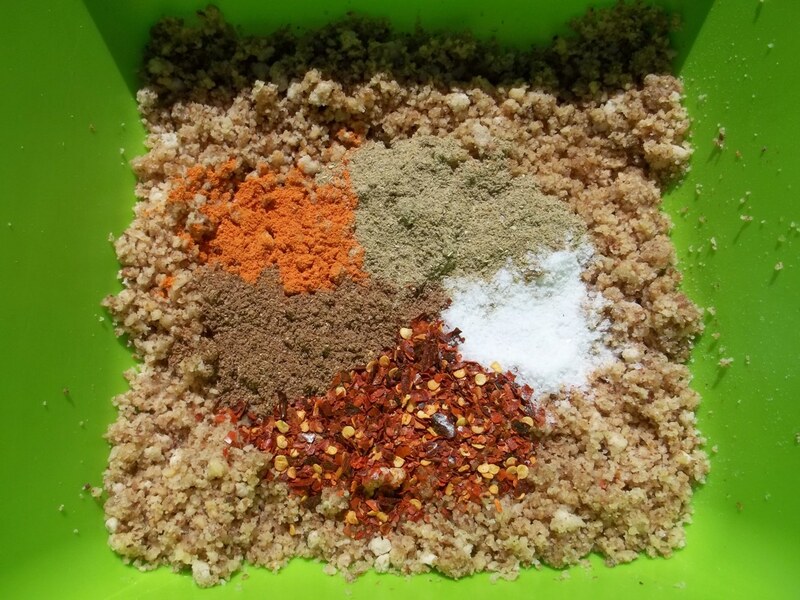 Add the crushed walnuts, coarse hot red pepper, dried blue fenugreek, dried coriander, dried marigold and salt to a mixing bowl. Add 6 tbs of white wine vinegar (more or less depending on personal preference) and mix. 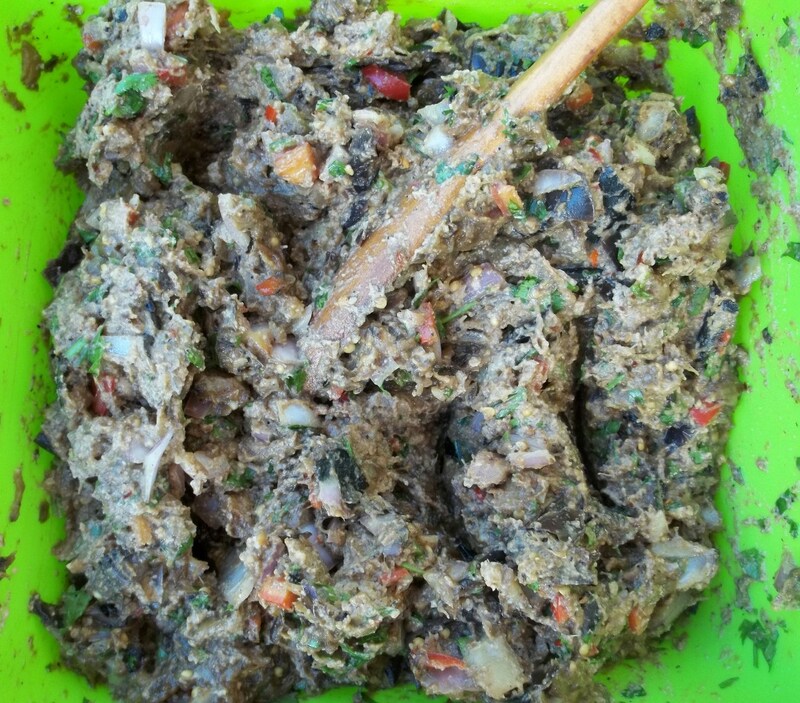 Finely chop the fresh green parsley and coriander and add to the mixing bowl with the walnut and spice mixture. 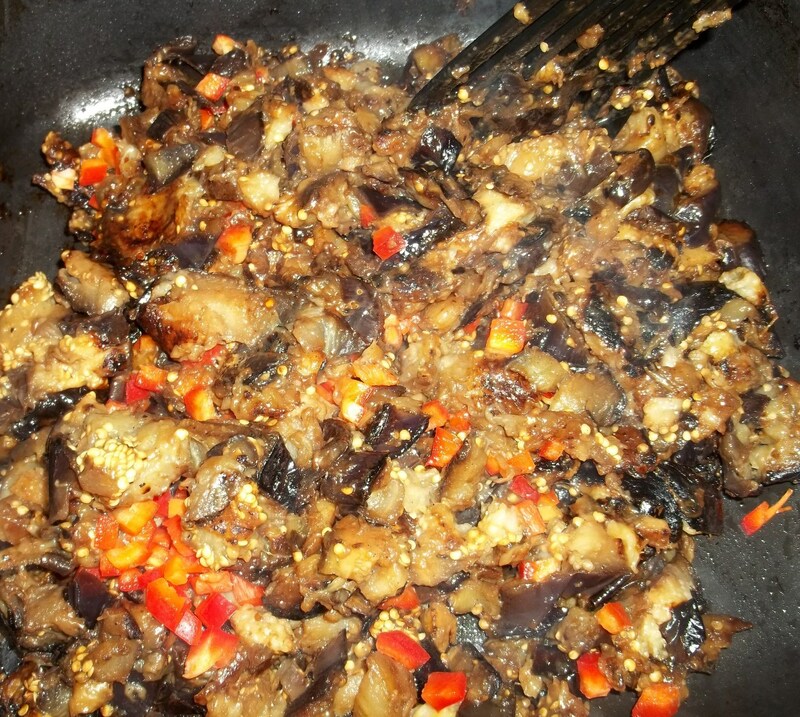 Add chopped onions and the eggplant. Serving: Leave for 1 hour before serving. 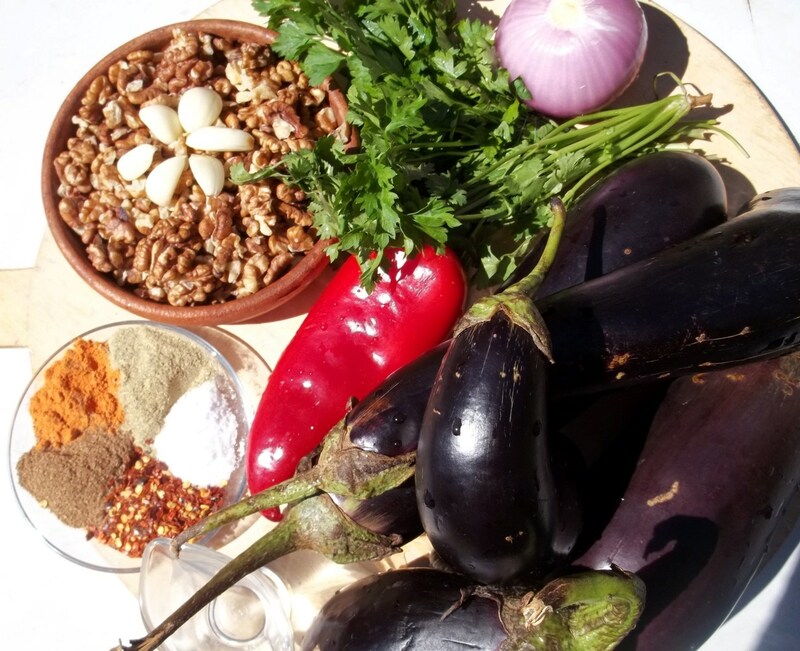 Enjoy your eggplant with walnuts and herbs!